• Robust and amenable to HTS: Z’ factors of 0.7 to 0.9 are observed in 96-well and 384-well plates. Can be readily automated on HTS liquid handling systems. 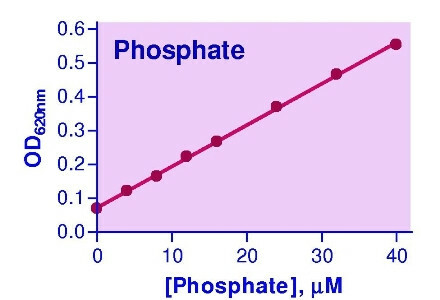 References Assay: Phosphate in Human enzyme (Pubmed).